Melbourne, October 30, 2018 – Didi Chuxing (“DiDi”), the world’s leading mobile transportation platform, recently announced that it opened its official Australia & New Zealand (ANZ) headquarters in Melbourne, the state capital of Victoria and Australia’s second-largest city. DiDi started operations in Australia in May 2018. The ANZ team, run by over 80% local management and tech professionals, will lead DiDi’s expansion in customized ride-sharing and smart transportation services throughout the region, supported by data scientists and engineers from Beijing and Silicon Valley. 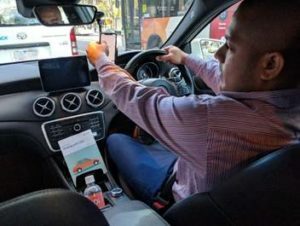 DiDi Express was officially launched in Melbourne on June 25, 2018, to an enthusiastic response from riders and drivers. 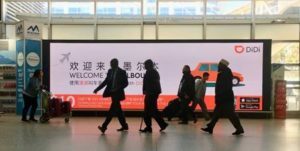 The company also plans to introduce a cross-market roaming service in November to allow the 550 million users of its Greater China App to enjoy DiDi Express rides in Australia, bringing extra income for local drivers and boosting the regional tourist economy. DiDi also looks to build research and technology partnerships across the ANZ region, China and North America. In 2018, while extending its smart transportation projects to Latin America and other markets, DiDi also launched the AI for Social Good program which focuses on applying AI technology to the world’s environmental, safety and health challenges. Today, university researchers from Victoria and New South Wales to Queensland are already partners in DiDi’s GAIA initiative, where the company opens up desensitized and aggregated traffic datasets from Chinese cities to inform local AI research. Philip Dalidakis, Minister for Innovation and the Digital Economy of Victoria, said the establishment of DiDi’s headquarters in Melbourne validates the city’s reputation as Australia’s technology capital. 2018 is a landmark year in DiDi’s international growth. In January 2018, DiDi acquired 99, Brazil’s largest local shared mobility provider. Today, 99 serves 14 million users and 300, 000 drivers across over 500 Brazilian cities. DiDi’s own-branded private car-hailing service was launched in Mexico and Australia in April and May. In September, a DiDi-Soft Bank joint venture started offering taxi-hailing services in Japan to local residents and Greater China visitors.